A 65-year-old man arrested as part of the Operation Yewtree inquiry into alleged historical sexual offences will face no further action. 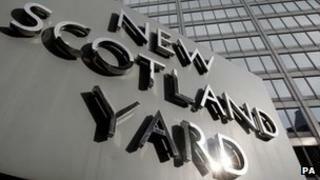 Police said on Wednesday that there was insufficient evidence to proceed. The man from Somerset, whose identity has not been disclosed, was arrested on 3 April. He is one of 14 people arrested as part of Operation Yewtree, set up following the death of DJ and TV presenter Jimmy Savile in 2011. Four men have been charged so far: the former BBC chauffeur David Smith, public relations consultant Max Clifford, ex-Radio 1 DJ Dave Lee Travis and the entertainer Rolf Harris. Four others remain on bail and the remaining six face no further action.